It's Saturday night on Buckley Street in Seddon and things are not looking good for those who lament the gentrification of the west. In a doorway next to Brixton Pound, a precisely styled streetwear store with Converse, Lacoste and Carhartt on the shelves, stands a well-dressed gent armed with a clipboard. There's another doorway behind him, unmarked. At first glance it could be the door to the shop's storeroom but a keypad and camera-equipped intercom suggest otherwise. And once the well-dressed (and charming) gent has consulted his clipboard and ascertained there's space, you're ushered through the door, down a corridor and into Lay Low. The interior lives up to the drum roll. A timber-backed upholstered banquette snakes along one wall. 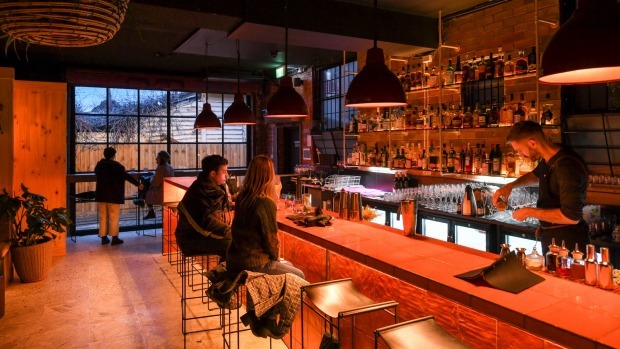 A burnt orange tiled bar glows under soft lighting. Industrial metal lampshades hang from the ceiling and a wall of metal-framed glass frames a picturesquely scruffy laneway. There are indoor plants and 1970s rumpus room-style wood panelling. On this Saturday night, there's also a capacity crowd of snappily dressed and good-looking folk, yukking it up over cocktails served in quality glassware and artisan beer in cans. If you wanted a snapshot of the new west, here it is. 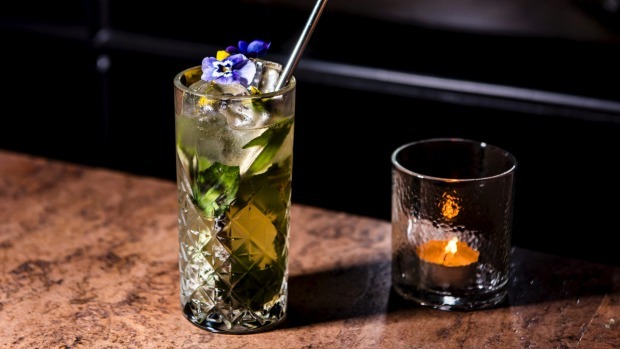 Lay Low's superpower is that it's as committed to the quality and integrity of its drinks as it is to its sophisticated speakeasy moves. 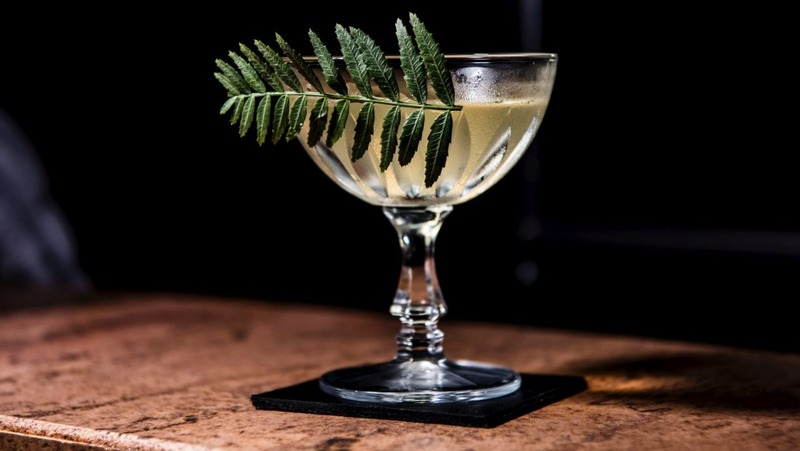 The booze list is stacked with independent spirit, wine and beer makers and there's a focus on sustainable bartending where citrus husks are cooked into a stock for use in the cocktails and avocado seeds are used to make orgeat syrup. There are, obviously, no plastic straws. The list of original cocktails is compelling, full of interesting combinations focused more on flavour than booze. The cloudy but clean-tasting Carrot Top sees MeMo gin (from the Melbourne Moonshine Company in South Melbourne) mixed with carrot, ginger and citrus, a virtuous combination with a lingering, warming, spicy ginger aftertaste. There's grown-up savoury goodness to be had in the Nouvelle Noisette, a blend of mescal, manzanilla, mandarin and hazelnut, and for those after a dessert-like quaffer that isn't an espresso martini, the Pancake Breakfast blends rum, coffee, caramelised banana and amaro to excellent effect. All the wine on a brief seven-bottle list is available by the glass and leans towards the natural – skin-contact pinot gris, Adelaide Hills rosé made with aglianico (a black grape originally from Greece) – while local beer makers such as Hop Nation are featured on tap and in the can. Snacks at Lay Low come from The Brotherhood Yiros and Grill, a cute-as-a-button hole-in-the-wall in a side street around the corner from Lay Low. 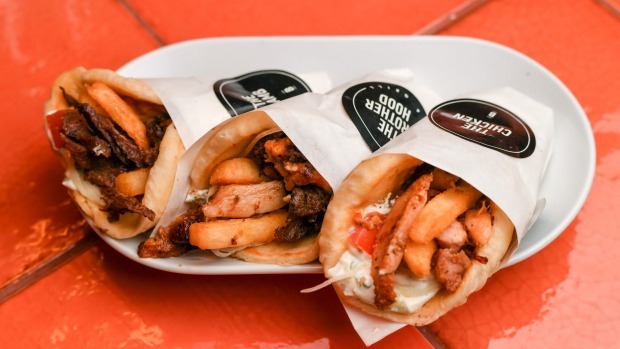 They do good stuff: simple and robust food that runs the Hellenic gamut from a trio of mini souvas (chicken and lamb on house-made pita) to thick-cut chips topped with feta and oregano and drink-friendly kolokithokeftedes (zucchini, feta and ricotta fritters) served with tzatziki. On paper, some of Lay Low's attributes – no signage, sustainable bartending, new west address, recycled avocado seeds – might sound insufferably fashionable. But attitude and atmosphere here are relaxed and unpretentious. It's a smart, solid place with a good heart that will do you right, no matter what your views on the neighbourhood may be. A successful pairing of local gin (MeMo, a classic London dry) with German vermouth (Balthazar), meticulously prepared and well chilled, $20. 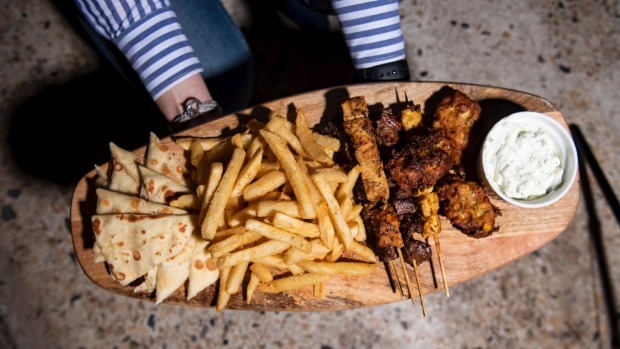 Go-to bar snack Kolokithokeftedes, served with tzatziki, $11.